It's time to start planing my summer footwear wardrobe and I'm looking for some really cute wedges to rock over the next few months. I'm looking for a two main wedge styles to add to my collection. A every day medium height wedge and a super high style for evenings. With specific colours, styles and fabrics in mind I've headed off to my beloved Luichiny to see what is available. I need to wear this style every day of the week over the summer. The Dream Of You wedge will suit everything from jeans, shorts, skirt and most of my summer pinup dresses. You will need both pairs as basic black is a given but the yellow is perfect for all the new summer styles. A perfect pop of colour for any out fit. 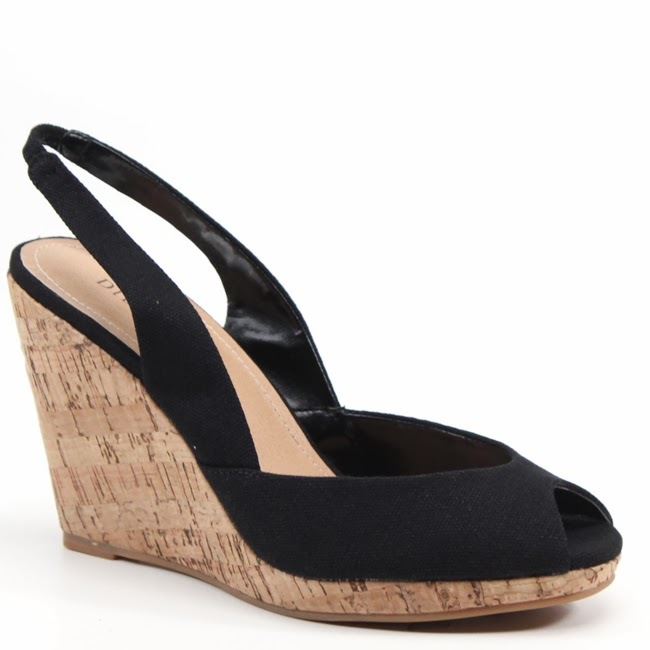 The sling back and cork base make this style super comfy and easy to walk in. I also love the sweet little bow placed on the peep toe. These paired with a breezy, floral summer dress - so perfect! The love child of a summer wedge and a 70's platform! This base is so comfortable, I've tried other brands in this style and can dance all night. I need this corked based beauty in my life in every colour imaginable. It's a style that's so versatile and comfortable. What is your summer footwear staple? What colours are you looking at this season?